Every decision we make involves risk. And when the stakes are high we do everything we can to minimize it, which more often than not involves gathering data. Any change on a slope is a major investment and alters the guests’ experience. This is where we come in. Combining our mapping, data presentation and programming capabilities, along with data obtained from our apps we are able to show you your resort in 3D with graphic overlays showing your guests’ activity throughout the season. 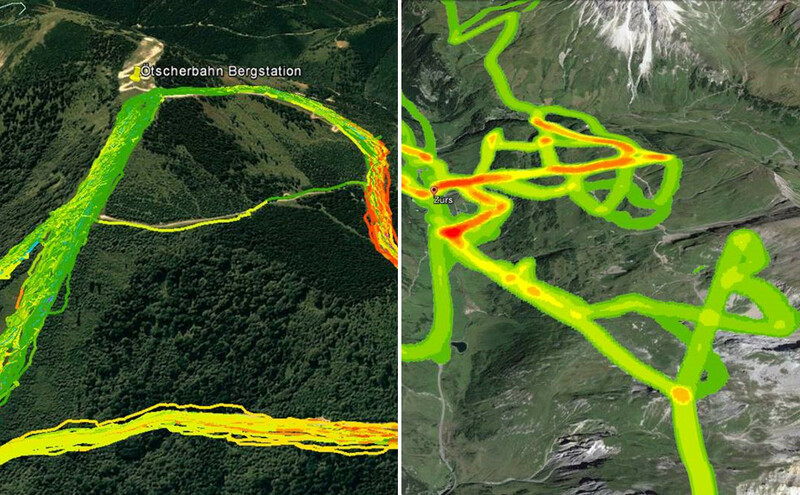 We can help you pinpoint dangerous or often congested areas, identify which slopes are the most popular, see how the weather affects activity and many more analyses, statistics and demographical information. Naturally we respect the privacy of our users and all of our data is gathered anonymously and handled responsibly. Got a question you’ve been trying to figure out? We’re sure we can help find an answer.